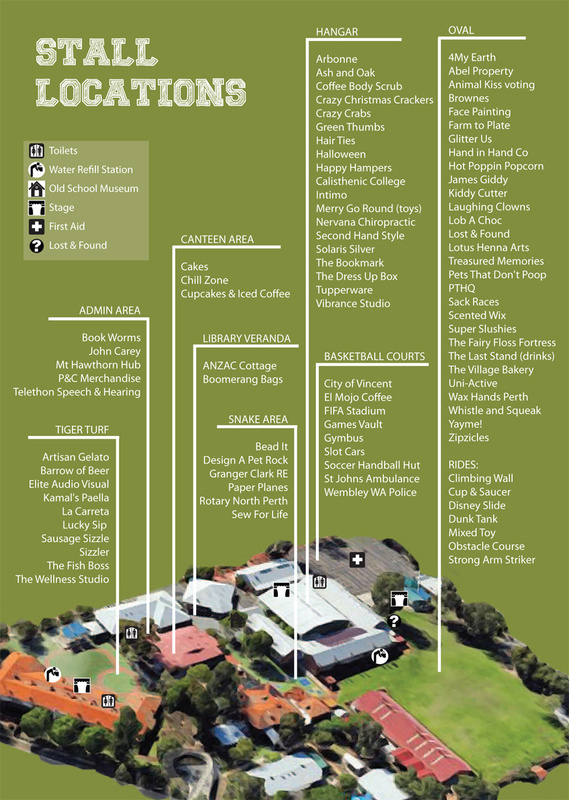 Here is the school map with locations of all the stalls and entertainment for you to plan your day at the fair. Click here to download the full program which includes this map. Print it out and bring it along on the day.